Surgery to repair and reconstruct your anterior cruciate ligament is often needed because doctors find that an untreated ACL tear leads to knee instability, recurring injury, or damage to other parts of the knee. Vigorous people who want to regain a physically-active life often opt for ACL surgery and commit to the required physical therapy. Rehab following ACL surgery isn’t quick and easy; fortunately, excellent rehab technologies are available, such as one that combines cold and compression therapy to speed up ACL surgery recovery. While everyone heals at different rates, there are some general guidelines on what to expect for your ACL surgery recovery. This is usually accomplished with the use of cold and compression therapy, which studies have shown will improve pain relief and accelerate knee flexion ability. Your medical and rehab team will likely start you on range-of-motion exercises so that you regain full knee extension as soon as possible. You’ll probably be non-weight bearing for the first two weeks, and most physical therapists will want you to continue to use cold and compression treatments to help keep down swelling, reduce pain and speed your ACL surgery recovery. Depending on your pre-surgery physical condition, most therapists will start you on walk exercises, gentle strengthening work and limited aerobics. Some therapists recommend regular exercise on a stationary bike to enhance your strength and motion and get your heart rate up. Adding in cold and compression therapy can help further. One study found that 83 percent of all patients who used the ACCEL™ device were able to discontinue use of all pain medication, compared with only 28 percent of those who didn’t use this treatment method. You’ll increase your activity level; some patients begin jogging around the 12th week, if their medical and physical therapy team feels they’re ready. Other activities that you may begin to enjoy at this stage include outdoor cycling, water workouts, jumping rope, and lateral shuttles. 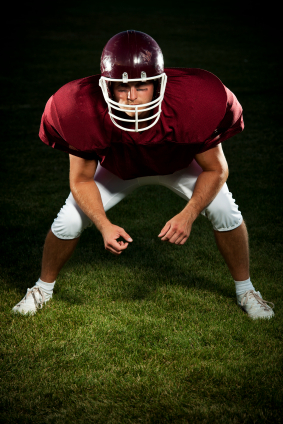 Experts advise avoiding sports that require side-to-side or pivoting motions such as basketball, soccer or football. Continue to ice down your knee and apply compression, because at this stage you’ll find, as do many other users of the ACCEL™ system, that it helps you recover faster from your workout so you don’t lose days due to swelling or pain. If you pass functional and strength training exercises from your physical therapist, then you may be ready to participate in most all sports. Some therapists will start you on what’s called sports simulating activities, such as light hitting for a tennis player or ball dribbling for a soccer player. It’s important not to get frustrated at this point, because your knee may feel normal, yet you don’t want to overstress it. Stay with your cold and compression therapy to keep you on track with rehab schedules. No one can say with certainty when you’ll be able to fully return to normal activities, but you improve your chances of a full recovery if you stick with your physical therapy and use cold and compression treatments to speed healing and lessen pain. How long was your ACL recovery?